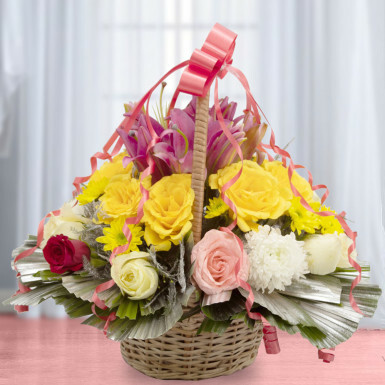 Each color of flowers represent different feeling and emotions and this basket of mixed flowers is a perfect pick if you want to convey your heartfelt emotions. In a set of 30 mixed roses with five carnations will surely communicate your feelings to your dear ones without words. There is nothing more romantic than gifting someone a basket of some well blossomed. Let someone know how much you adore them with this sweet and straightforward token of passionate love.